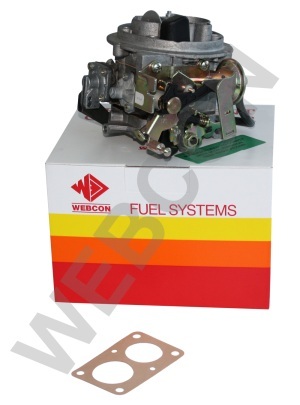 Webcon replacement carburettor kit to suit the Ford Fiesta 1.1 (1117cc) OHV models manufactured between 1987 and 1992 replacing the Weber 26/28TLDM. Featuring a genuine Spanish Weber carburettor, the Webcon kit is designed to fit the original manifold and air filters, using specially designed adaptors. All kits include every single nut, bult, washer and gasket needed to do the job, and all are supplied fully jetted for the engine. No additional tuning will be required.